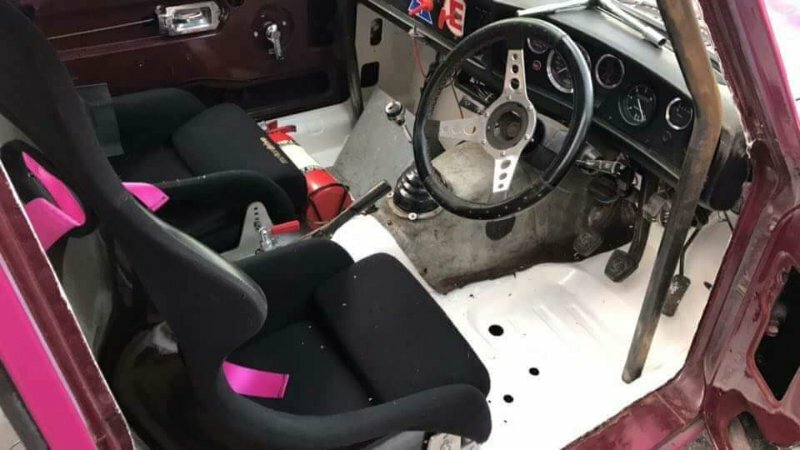 I was wondering for those who have cars they use on track, rally, hill climbs etc have any pictures of their interiors and possibly details. Looking for inspiration. Depends how competitive people get.Losing weight is king in any form of motorsport. So don't expect F1 type interiors, it is usually more gaffa tape inspired. Seats are important, and again light is good, but may not be comfy for long journeys as padding can be thin or non-existent. In general, not a huge amount of effort goes into looks, far more into convenience and weight saving. 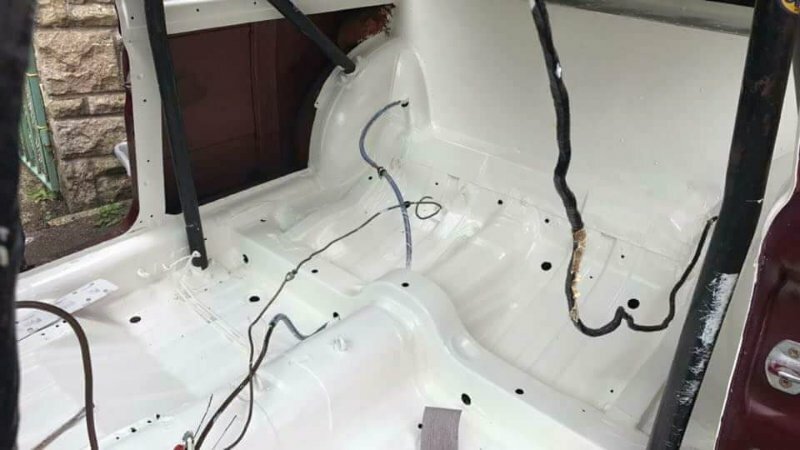 I'll try dig out a picture but I do the odd HRCR event, sabelt saloon 4point harness seatbelt fitted from the rear seat belt eyes and a trip screwed onto a spare glove box lid. 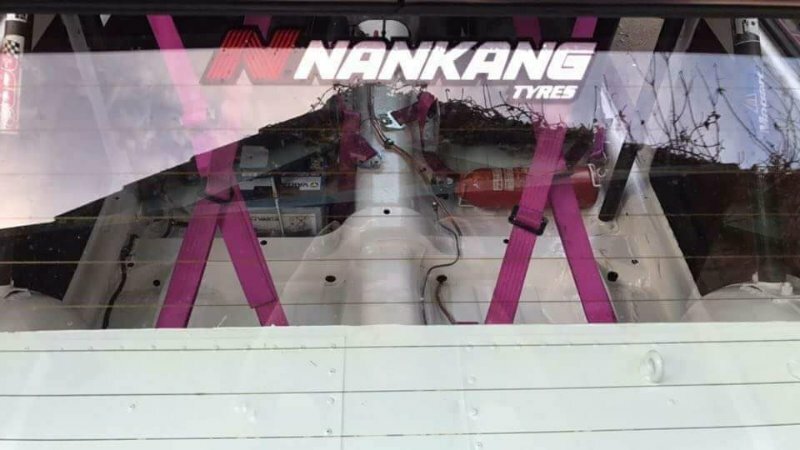 All removable so during one rally time, car is normal. Not really an interior but a dash inspired on the works dolomites and 2500's. Very true I guess weight and practicality are key for any form of motorsport. That looks awesome Jeroen. Do you need a pilots licence for it. This is my now dedicated circuit race car, although still road legal. Interior has to be retained and with only limited modification allowed as this is a series rules requirement. Thanks Geoff that is AWESOME!!! Dolly-Nut owns the Toledo Sprint stage rally car that I originally built about - erm - 16 years ago. 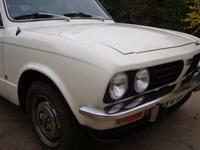 He or a previous owner (I cant remember now) posted a couple of pics of the car which I cheekily saved as I didn't have any digital pics of the car other than one or two external pics of it being driven "properly". So this isn't my pic to share, but what the heck it was in a public place so fair game. 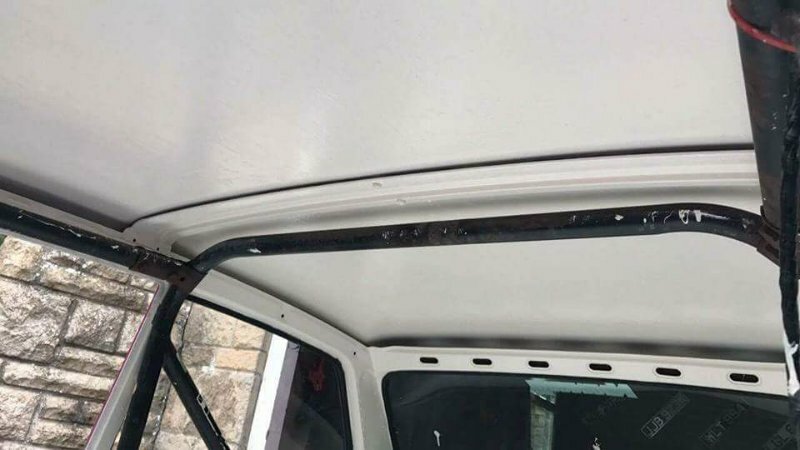 I fitted the Dolomite fascia unit (obviously the Toledo originally had the flat fascia) and made the necessary brackets at the bottom of the windscreen for it to attach to. There really isn't a lot more interior trim, the navigator just has a seat and a foot-brace. The clock and glove-box are replaced by the extinguisher and cut-out controls, and - erm - that's just about it. File comment: "''' and junction turn 90 left..."
One of the disadvantages of the chromium-plated, 3-spoke Dolomite steering wheel that I have in my non-racing, four-door Toledo, is the glare arising from reflected sunlight, which I seek to remedy before I put my car back on the road. 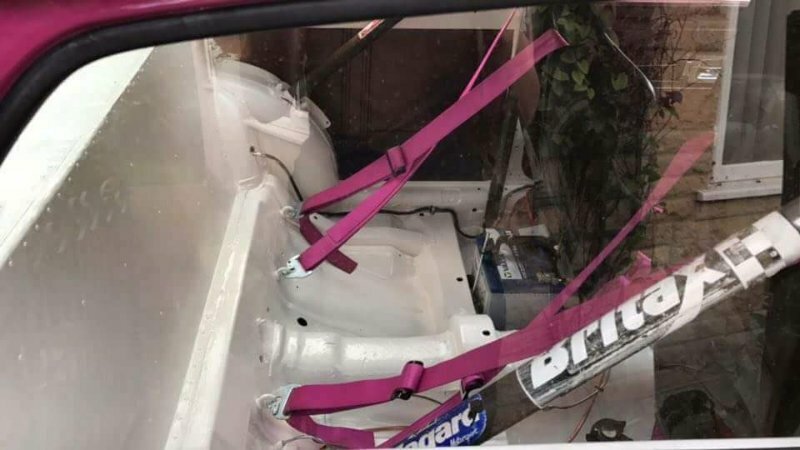 I would have thought this was an even greater hazard in a high-speed motorsport car!?! I have never managed to apply the heel and toe technique, which on a 1968~79 VW Type 2 would probably be impossible anyway, owing to the difference in heights of the accelerator and brake pedals. I personally favour left-foot braking. Last edited by naskeet on Sat Jul 22, 2017 3:49 pm, edited 1 time in total.